There are many reasons to create a Last Will and Testament, but for parents with a minor child, appointment of a child’s guardian is among the best. 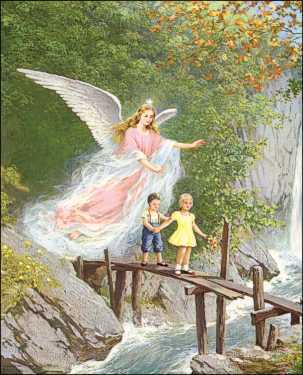 Doing so may be a parent’s best chance at choosing a child’s guardian angel. Estate planning has many facets including property titles, trust documents and more, but none of these documents names a guardian for a child. This can be done in a Last Will and Testament. While this appointment is not binding on a probate court, there is a strong presumption to honor the parent’s wishes. If a child’s parents die in a common accident, there is a single parent, or the parents are divorced and the surviving parent is found unfit and without a will provision appointing a guardian a court will select a guardian to care for surviving minor children. The court’s appointment may be someone the parent would have found undesirable. If there is a surviving parent that has not been found unfit, that parent will have automatic guardianship. There can be the “guardian of the person”, who is responsible for the child’s daily wellbeing and care. There can be a “guardian of the estate” who is responsible for the child’s financial matters. A single individual may fill both roles or the daily care and financial responsibilities may be separated between different guardians. Appointment regarding both matters lasts until the child becomes an adult. A single guardian may be appointed or joint guardians to act at the same time. If a single guardian is chosen, an alternate guardian should also be named in the event the original guardian dies or becomes unable or unwilling to serve. It is best to consult with prospective guardians as there is no legal duty to accept the appointment. Parents should consult with each other as well when naming guardians in their respective wills. While the will of the last surviving parent is likely to be controlling, if the parents have named different guardians, there may be a difficult, expensive and unsettling court challenge to that appointment. This can be avoided if the parents have agreed upon the appointment. Is the guardian’s home adequate from a space standpoint? Is the guardian in a financial position to look after the child or children? Is the guardian aware of any special needs or care required for the child or children, and capable of meeting those needs? How are the financial needs of the children to be met? Regarding a child’s financial needs, there are multiple methods to deal with this, such as giving the authority to the guardian of the estate and allowing that person to manage the child’s inheritance. Such appointment and authority ends when a child becomes eighteen. There is an alternative that has many advantages, in that it allows for financial distributions and control beyond the age of eighteen. This alternative is a testamentary trust or a revocable living trust. Such a trust can address many more matters than just appointment of a guardian of the estate can. A living trust can provide for allowances and timed distributions that the parent feels are in the child’s best interest. Creation of such a trust is another aspect of providing for a child after a parent is gone. Through the use of a trust, control over financial matters defined in the trust can be extended into adulthood. As an example, joint guardians might be a married couple appointed to jointly fill the role of a child’s “guardian of the person”. Once a child becomes an adult, the duties of the “guardian of the estate” cease. However, a trustee appointed under a trust document maintains the responsibilities defined in the trust.